Well, gang, it’s that time again – bluegrass festival season! And in my neck the woods it’s already in full bloom. As a matter of fact, in less than a week one of the most iconic of all Southern California bluegrass festivals gets underway – the Topanga Banjo & Fiddle contest. This music festival, which began in Topanga Canyon, California at the height of the American folk music boom of the 1960s, has been a staple in the L.A. acoustic music scene since 1961. A lot of professional pickers got their start there, including Chris Thile, Stuart Duncan, Alison Brown and Steve Martin. It was the first bluegrass festival I’d ever attended and the impetus for my eventual obsession with the banjo. I first entered the contest when I was 13 years old after playing banjo for a little less than a year. It was here where I learned how to jam with other pickers. Competing was one thing, but learning how to make music spontaneously with others was quite another and an endeavor that I devoted a huge chunk of my banjo education to mastering. At the jams I soaked up everything I could from the other pickers. I watched their fingers, I listened to their licks and, most importantly, I made my first fumbling, terrified attempts to create music on the spot with other players. I always made sure to tape-record these jams so that I could go home later and and try to play along to the songs I’d heard, transcribe a solo or perhaps even cobble together my own rudimentary banjo solo. I can’t stress enough how essential this entire process was to my mastering the instrument. 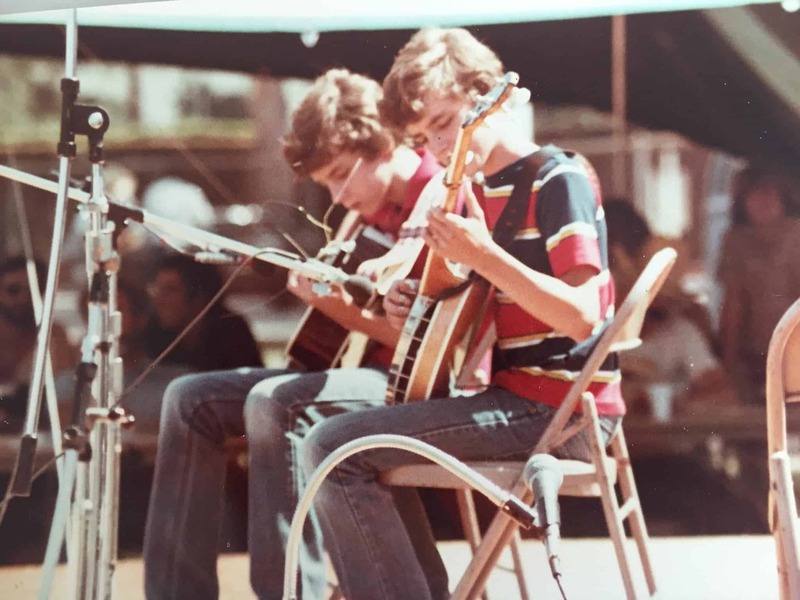 And now, decades after that first Topanga festival sparked my love for the banjo, I’m one of the judges for the festival’s bluegrass banjo competition. For me, it’s an honor to give back to the festival that did so much to nurture my talent when I was a young kid trying to figure all this banjo stuff out. And, despite what you may have heard, being a judge is fun! I know many people who find judging musical competitions tedious and mind-numbing, but I can honestly say I enjoy every minute of it. I’m always blown away by the range of talent on display and I find inspiration in it. And I get a particular thrill out of seeing one of my students compete! If you’re a banjo student looking to take your playing to the next level, there’s no better way to up your game than by performing in front of an audience of strangers. It will force you to become a better player. So, if you happen to be in the Los Angeles area on May 21, check out the Topanga Banjo & Fiddle Contest/Festival. It’s a great way to spend your Sunday and a great way to expose yourself to some truly amazing music!